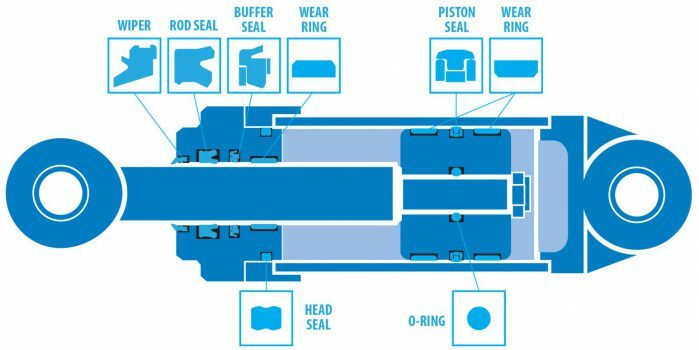 Buffer seals are primary seals in tandem sealing configurations, designed to withstand pressure peaks from the system. The cross-section designs are unsymmetrical and often use anti-extrusion rings to prevent gap extrusion. State-of-the-art designs include a pressure-relief functionality from the low pressure side, addressing concerns related to drag-oil pressure trapped between the tandem elements.